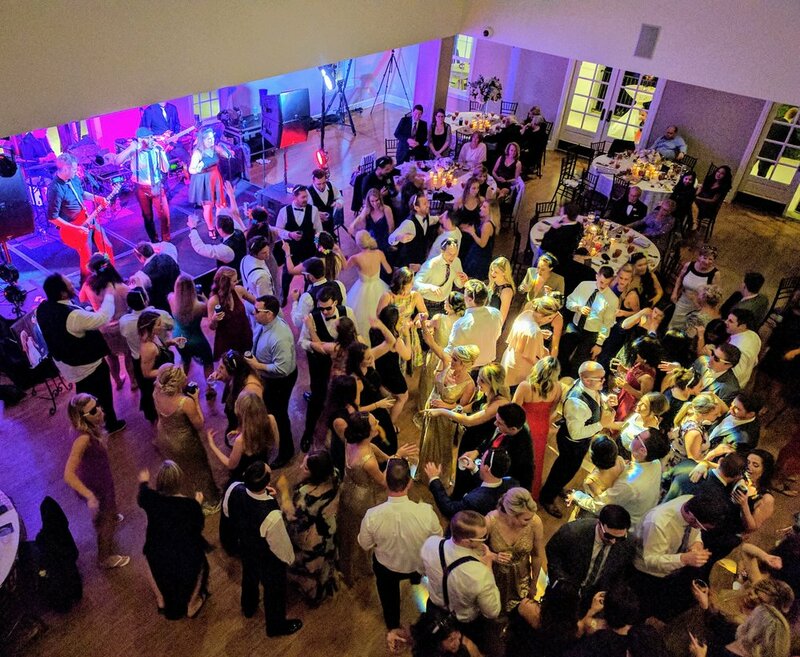 Creating the perfect party atmosphere for your wedding day is one of the most substantial parts when scouting a live band to hire during the event planning process. 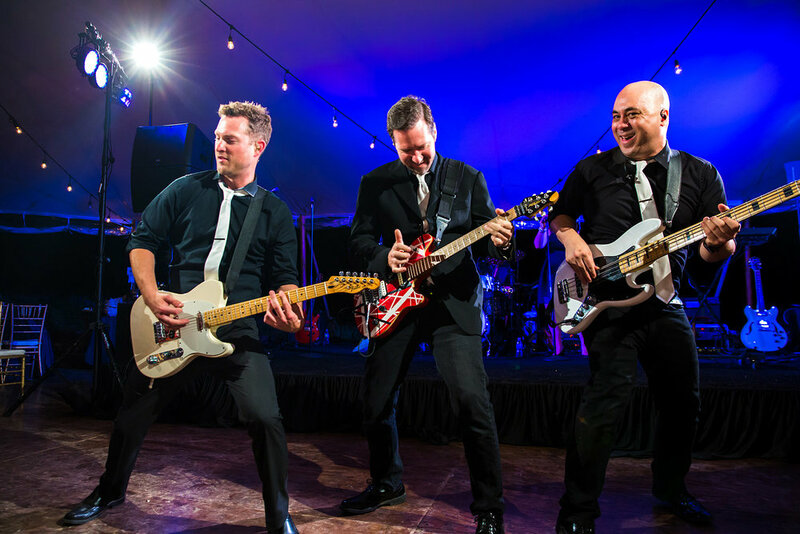 As your Texas wedding band, it is our job to cater to the audience & curate a well thought out set list that adapts accordingly to the modifications of each given room, couple or special event. 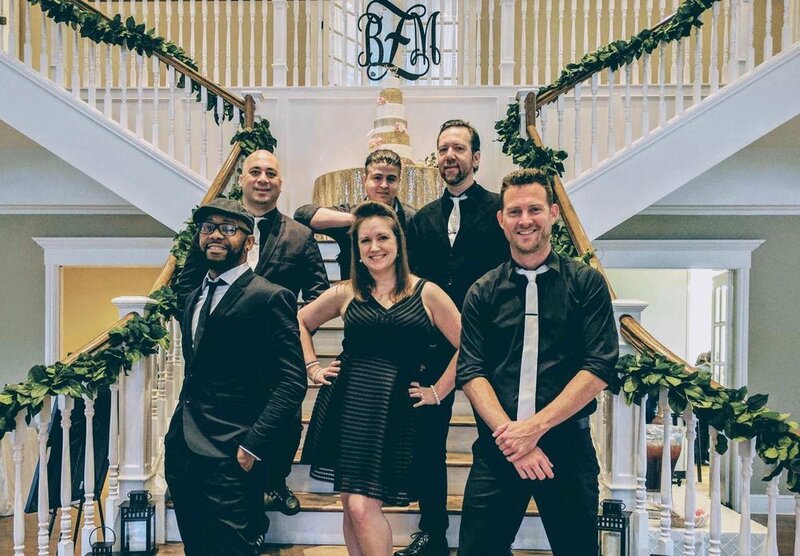 Our professional team of seasoned musicians prides themselves on being a great variety band by delivering material of all genres to satisfy every age frame throughout the night. That's why staying up to date on today & yesterday's Top 40 is such a vital component in our rehearsed live show, allowing us to consistently improve our set lists & assist in being one of Austin's best dance bands. The ideal party atmosphere can also be generated visually with the proper production. The crew of Uptown knows first hand how essential a visual show can be to bring a performance to new heights. That's why we arrive on site completely loaded with full service sound production & light show. Our choreographed dance show is set in sequence with our light production to bring you a dynamic & powerful performance that will always leave you on your feet. Our crew takes deep pride in our professionalism, passion, showmanship & friendships within Uptown Drive itself & our past & future clients. It's key that we put a smile on our bride & groom or guest of honors faces during any wedding or special event & we strive in bringing you the very best party atmosphere possible. If you are looking to book a live band in Austin, San Antonio, Houston, Dallas or surrounding areas or potential travel dates contact gregwilliams010@gmail.com for upcoming Fall & Holiday Corporate Bookings.